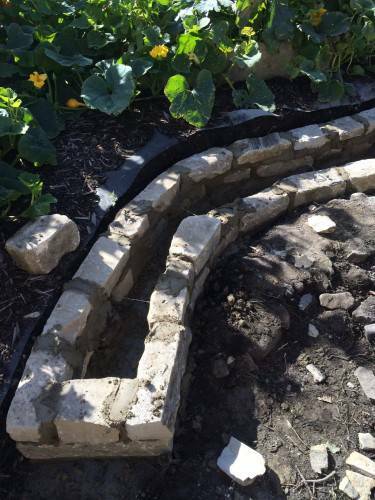 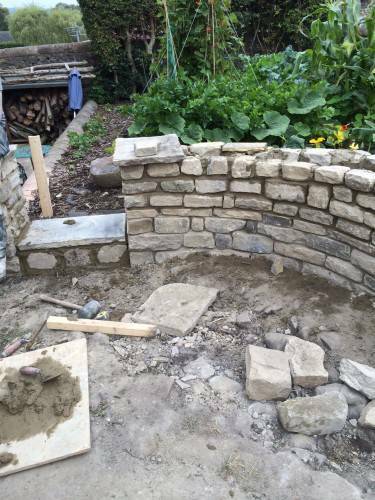 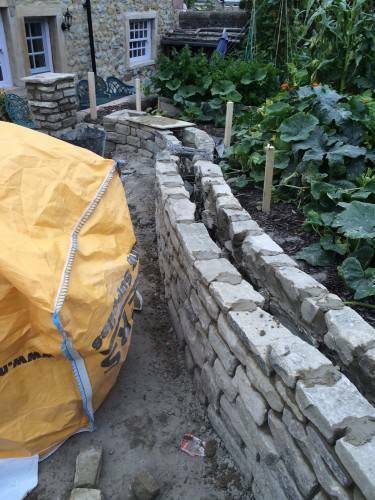 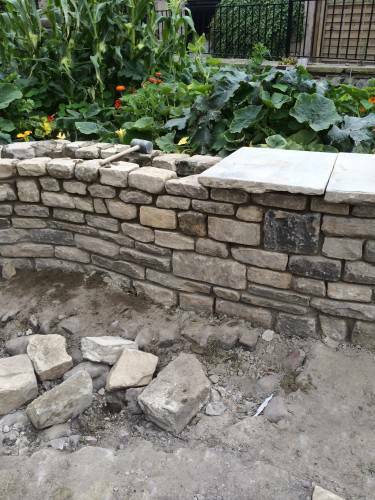 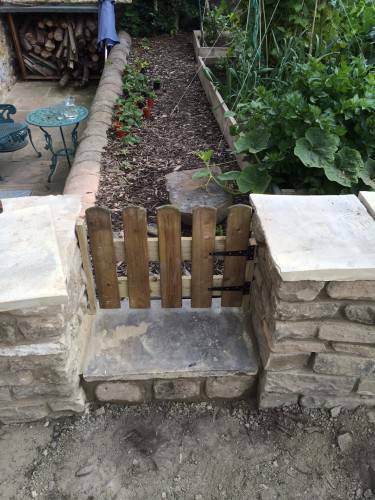 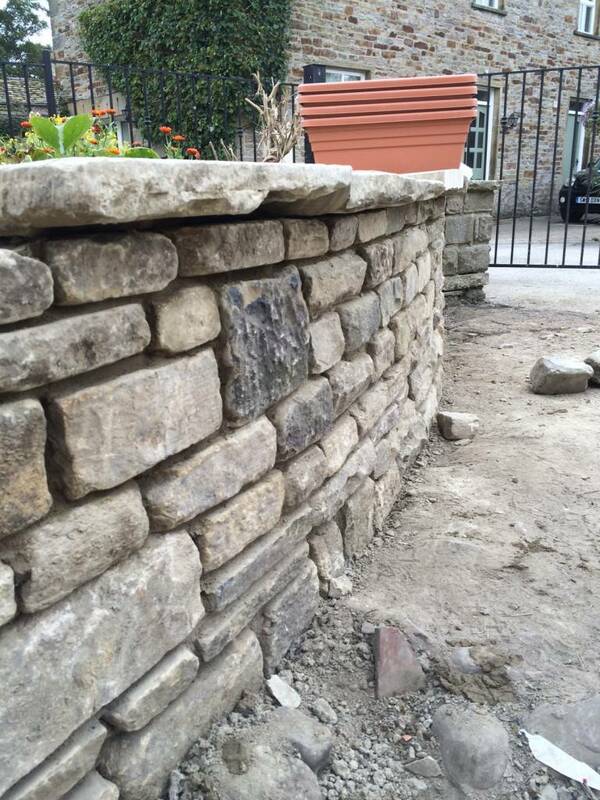 This is a random stone wall we recently built for a costumer to mater the existing stone work in the garden. 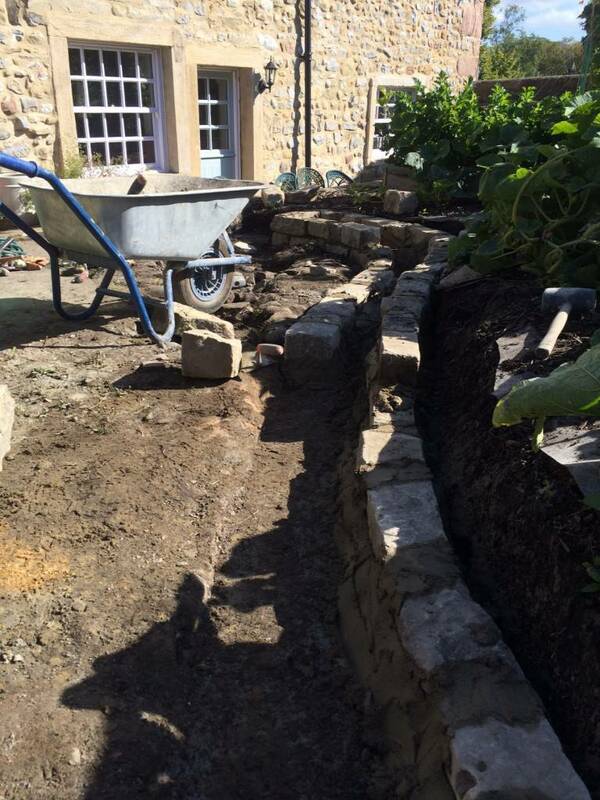 as requested the was no to be straight and follow the line of the garden so the foundations were dug out to follow this. The foundations were a good foot deep made of a 4 to one mix of cement and balest. Once the stone was sourced to match the rest of the existing wall it was coursed and ready to start. A starter kit was used to tie the new wall in to the existing wall to ensure strength. 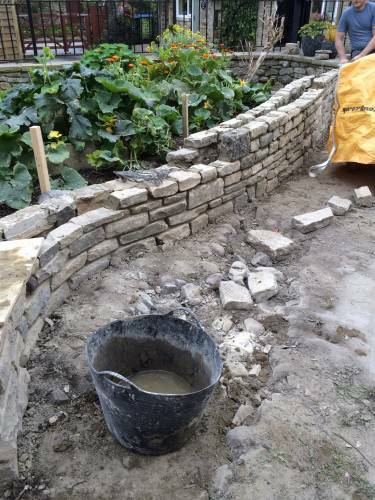 A mix of 4 to one yellow building sand and cement was used to build the stone wall always making sure to keep offset the bond between the courses of stone. 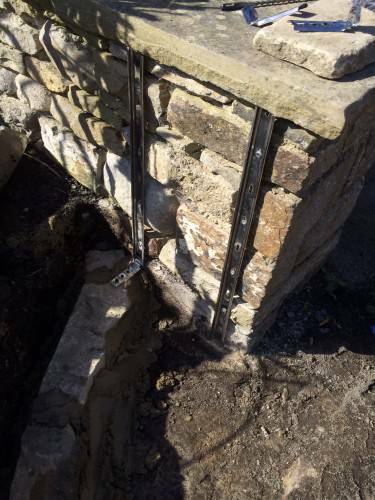 A pillar was built to hang the gate on on the existing stone wall. 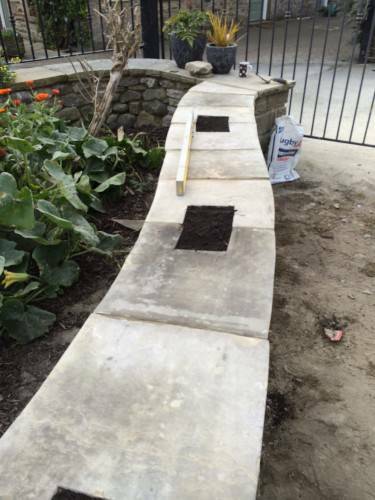 The mortar was pushed back while still green and brushed to seal to the stone. This is the finish of the rest of the stone walls in the garden so it all matches through out. 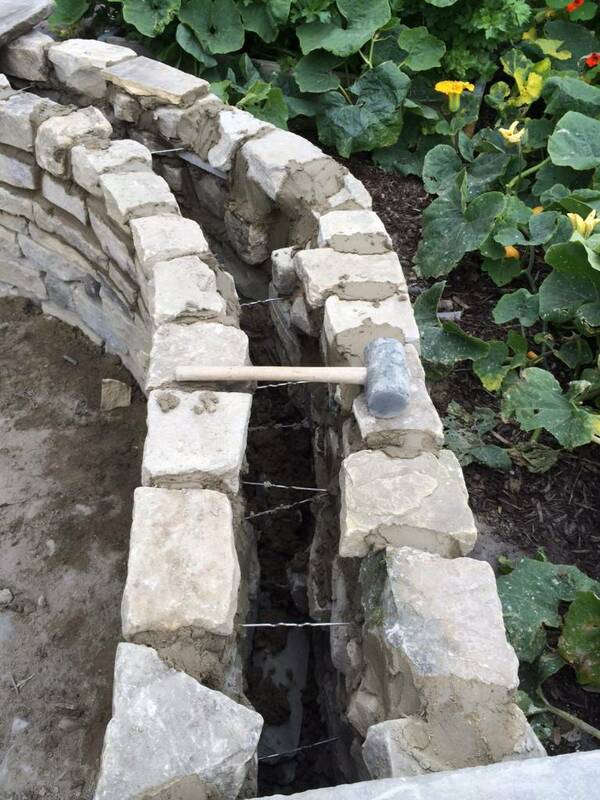 As the stone wall was faced on both sides, stone ties were used to strengthen the wall and hold it together. Once the wall was to hight the stone flag were cut to follow the curvature of the wall all at the same measurement. 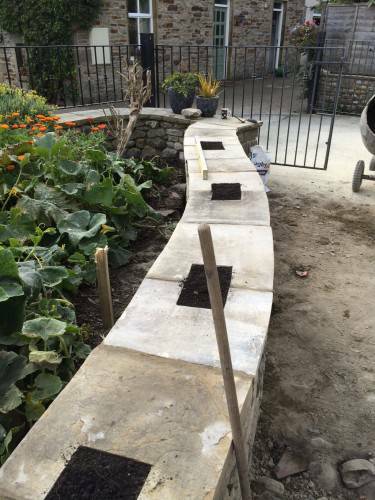 Planters were also cut out of the flags in four places to grow herbs. A small gate was made from tantalised wood and pales to allow access to the garden area. 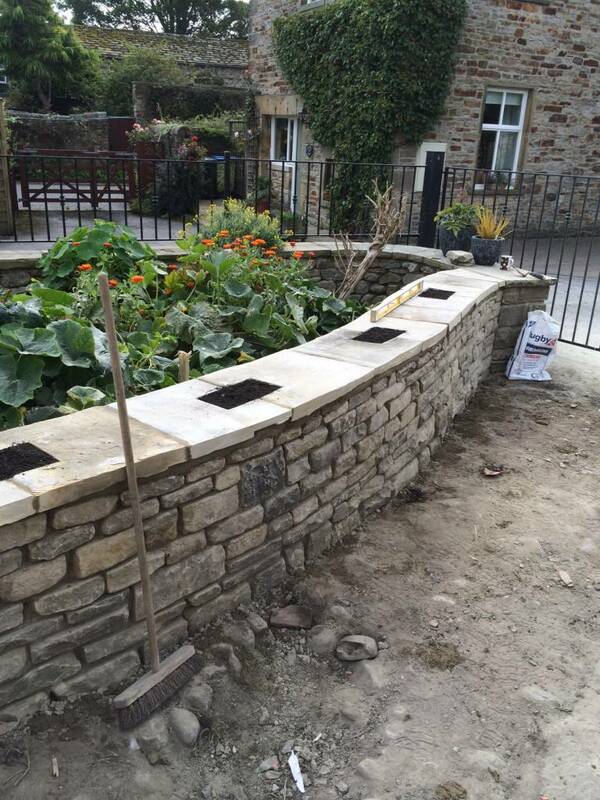 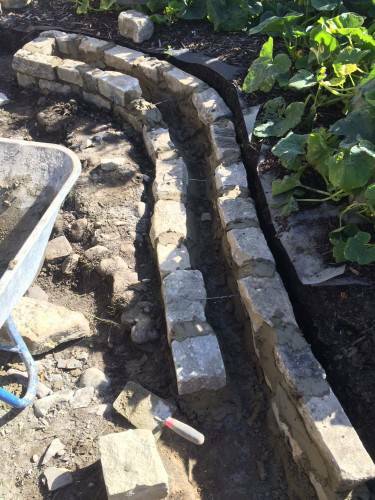 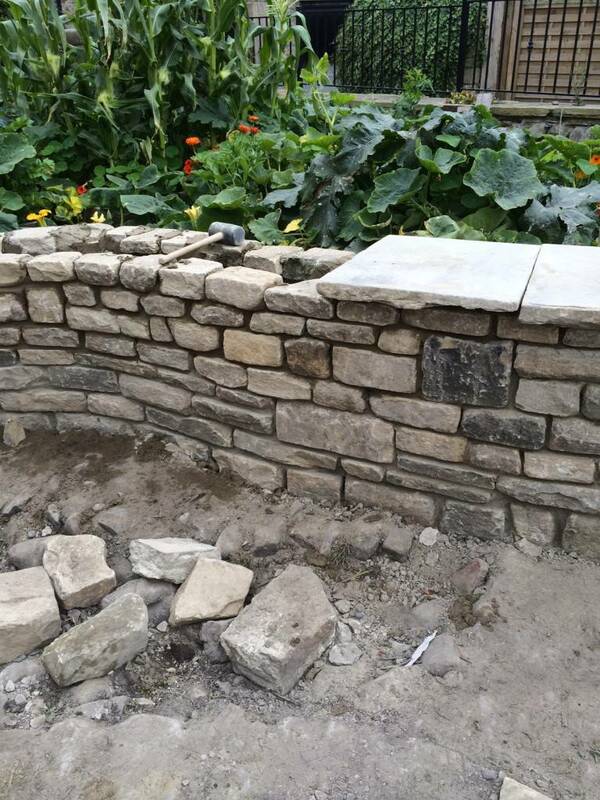 please feel free to contact us about any stone walling work and we can advise you on your project and give you a estimate for any work. 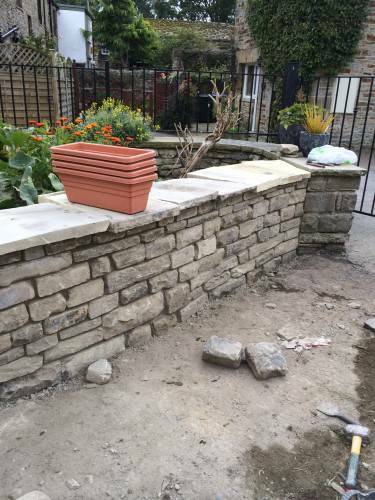 we are a Skipton based company but work in a large radius of the area. You can contact us on 07985711011.